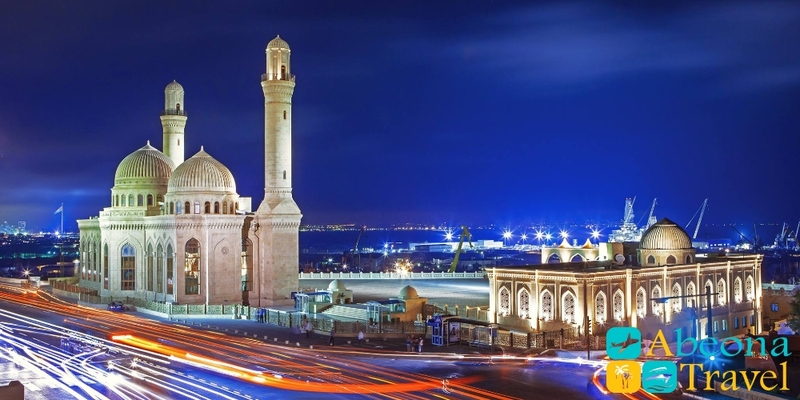 Combined tour Azerbaijan+Georgia last only 7 days. 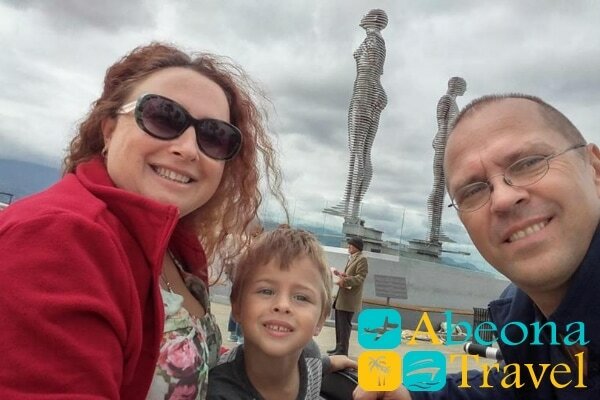 The cheapest tour when visiting the most famous sights. 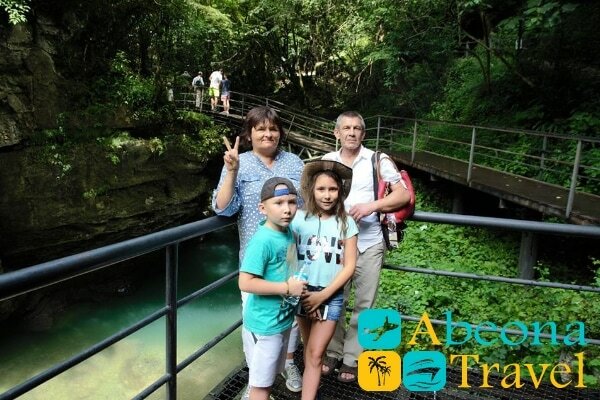 Special offer on combined tours from tour operator Abeona Travel. You can buy the tour on our web site just fill in following form. Make haste or else you will be late. Meeting at the International Airport name of Heydar Aliyev and transfer to the hotel. Check in to the hotel and free time. 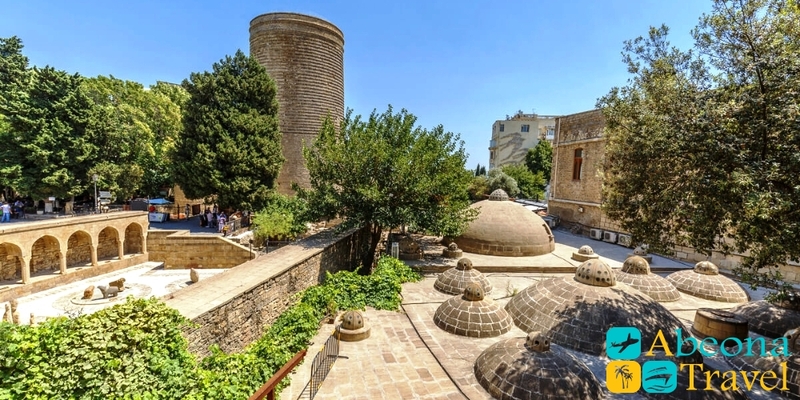 We will start to discover Baku city from sightseeing tour of Baku with a visit and tour of the monumental, historical and architectural monuments of the city: you will see a panorama of the city of Baku Bay and the Upland Park. Then follows the visiting of the old city *Icheri sheher – the inner city*. Icheri sheher means the inner city. It was called the inner after the oil boom of the middle of the XIX century. When the city stopped to hold in defense walls and left its limit. 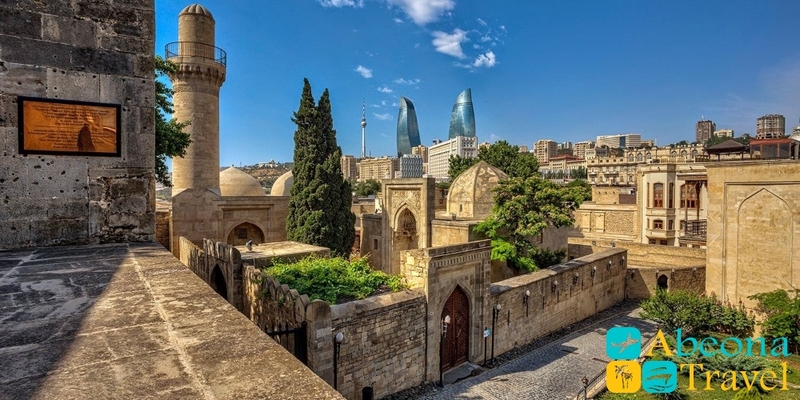 Several tens of the historical- architectural monuments at the same time the Shirvanshakhs Palace, the symbol of Baku city The Maiden Tower, the place of merchants rest Karavansaray are concentrated in the Icheri sheher, with the square of 22 hectares. Icheri sheher is the live organism, which has its own infrastructure and inhabited files. The place where 1300 families are living. In a word, it is an ancient city in the modern city. 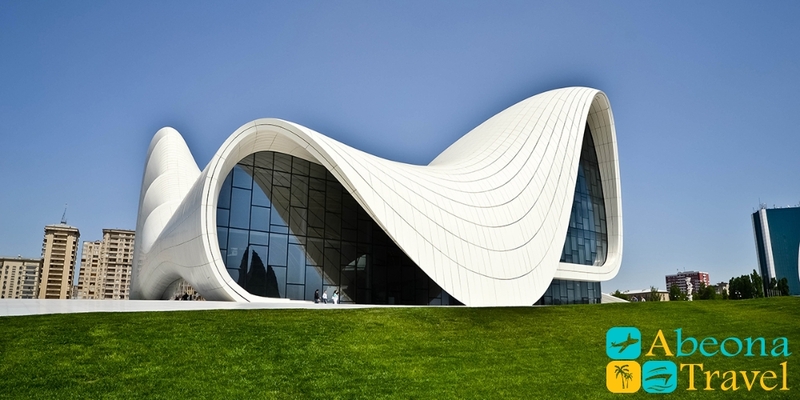 The most attractive and interesting section of the Center is the Museum of Heydar Aliyev. 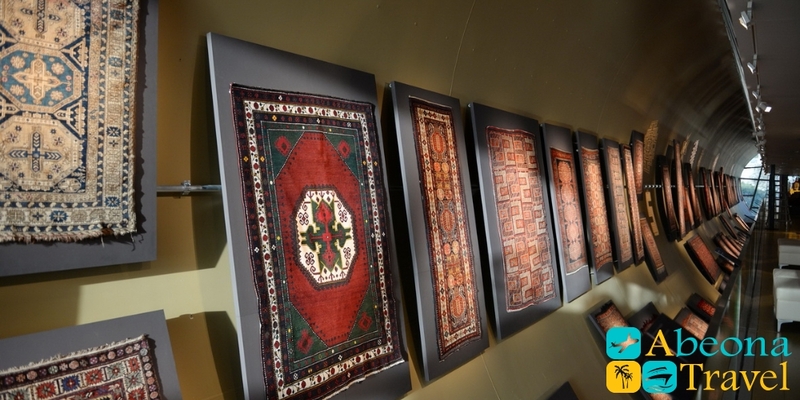 The Museum describes the history of Azerbaijan. And different stages of Heydar Aliyev’s life and work. Evening walk along the central streets of the city and updated fountain square, shopping. Back to the hotel for free time. Overnight in the hotel in Baku. Breakfast in the hotel. At 12:00 check out and free time until the evening. Excursion to Gobustan National Park – one of Azerbaijan’s most popular sightseeings. The reserve is well known with its perfectly preserved rock paintings ancient petroglyphs and mud volcanoes. In the evening transfer to the railway station. Overnight in the train. Narikala – an ancient symbol of Tbilisi, which was established in the 4th century and was known as Shuris-tsikhe (Invidious Fort). 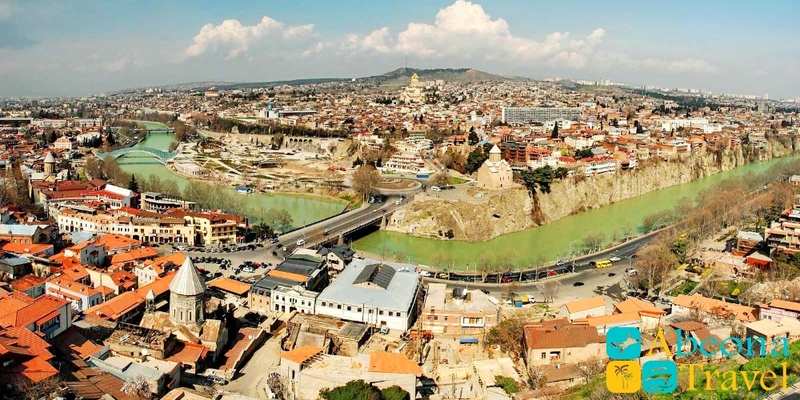 We also call Narikala the Mother Fortress of Tbilisi. On the lower court, there is the recently restored St Nicholas church. The internal part of the church is decorated with the frescos showing scenes both from the Bible and history of Georgia. 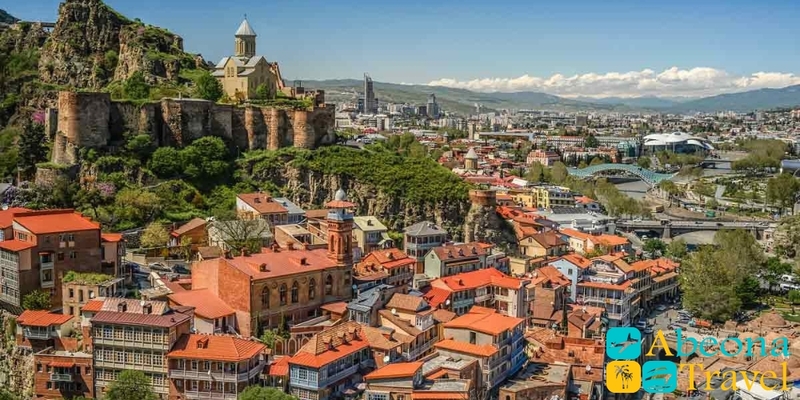 Narikala offers the guests the best panoramas of Tbilisi. Mother of Georgia – most famous woman in Tbilisi Kartlis Deda situated at the important crossroads where Europe meets Asia. Sculpture of a woman in Georgian national dress symbolizes the Georgian national character: in her left hand, she holds a bowl of wine to greet those who come as friends and in her right hand is a sword for those who come as enemies. Norashen Holy Mother of God Church – is a 15th-century Armenian Church located in a central and ancient neighborhood of Tbilisi. 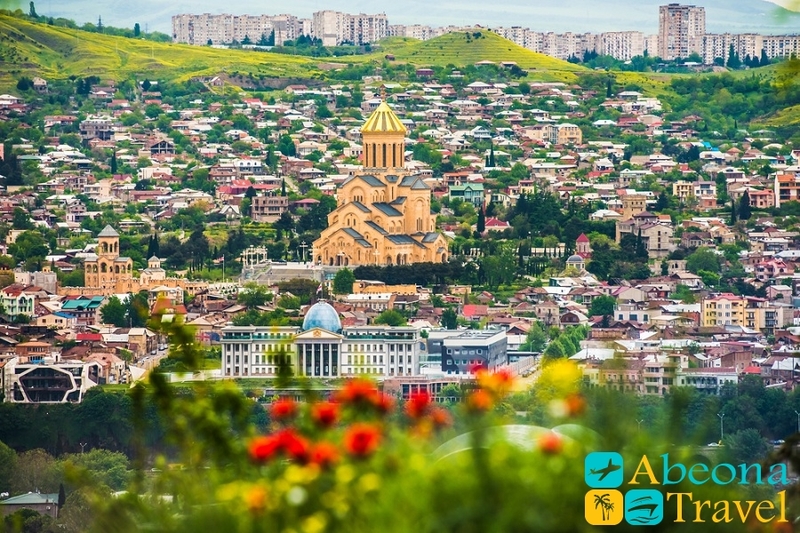 The name Norashen is of Armenian extraction and means ‘newly constructed’. Metekhi Church – was built by the Georgian king St Demetrius II in 1278–1284. The Temple is standing close to the edge of the rocky bank of the Kura, which was the fortress and the residence of Georgian tsars. Under the vaults of Metekhi temple the first Georgian martyr – St. Shushanik killed by her fire worshipper husband in the 5 th century AD was buried. Anchiskhati Basilica is one of the oldest Georgian Orthodox churches located in Old Town of Tbilisi. The history of this church dates back to the 6 century. The King Dachi of Iberia (circa 522-534) who had made Tbilisi his capital built the church. 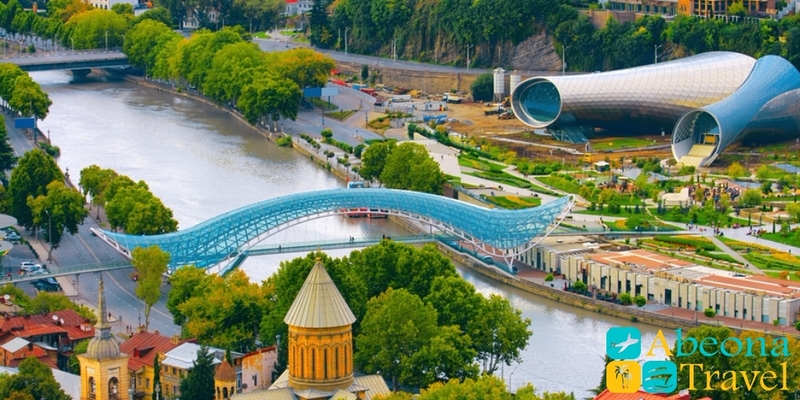 Baratashvili Bridge and Leselidze Street – over the Mtkvari River in Tbilisi is decorated with bronze figures and is often referred to as the Bridge of Love, in reference to its name, honoring the Georgian romanticism poet Nikoloz Baratashvili. We will walk in the central street in old town. Holy Trinity Cathedral – commonly known as Sameba it is the main cathedral of Georgian Orthodox Church. Cathedral is the third highest Cathedral in the world and the symbol of new Georgia. 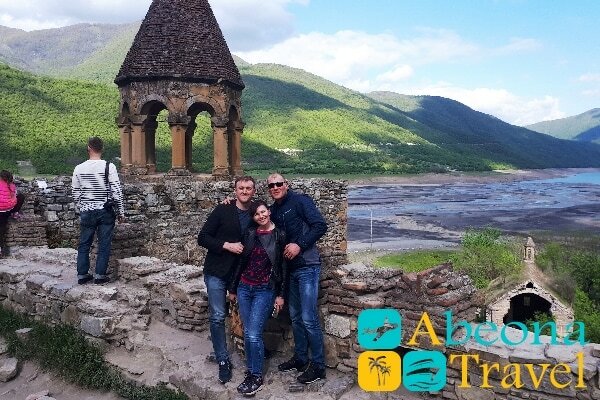 Abanotubani – the ancient district of Tbilisi, known for its sulfuric baths. 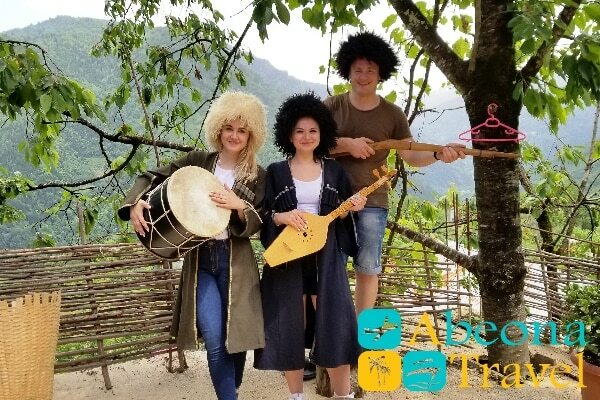 Abanotubani is the place, where according to legend, King Vakhtang Gorgasali’s falcon fell, leading to the discovery of the hot springs and, subsequently the founding of a new capital. 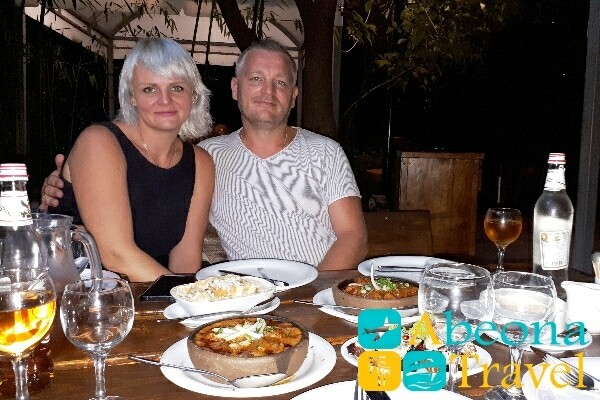 Optional, the program can be completed in one of Tbilisi’s national restaurants. The Georgian feast will unfold before you like a poem, like a tablecloth, like a performance in a variety of acts. We cannot describe this, it has to be experienced. The completion of schedule. Overnight in the hotel in Tbilisi. 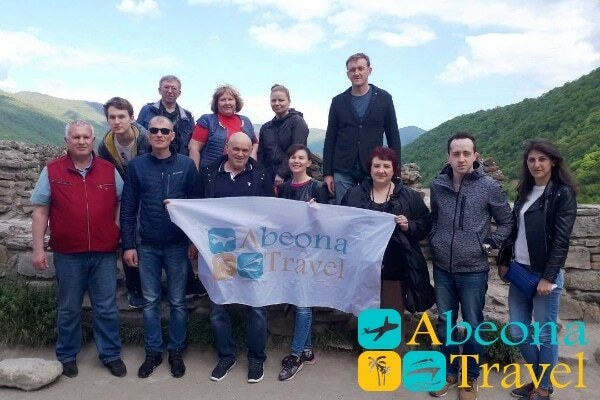 Today we will visit one of the most beautiful regions of Georgia – Kakheti with own important monastery complexes and wineries. Sighnaghi is the city of love, city of a fairytale in surroundings of Alazani valley and Caucasus Mountains. Sighnaghi may be proud of its fresh air, constructive architecture and natural wine. Thousands of tourists are visiting the town all year around to walk on small streets in Italian style and to feel a sense of freedom and love soaring in the air. 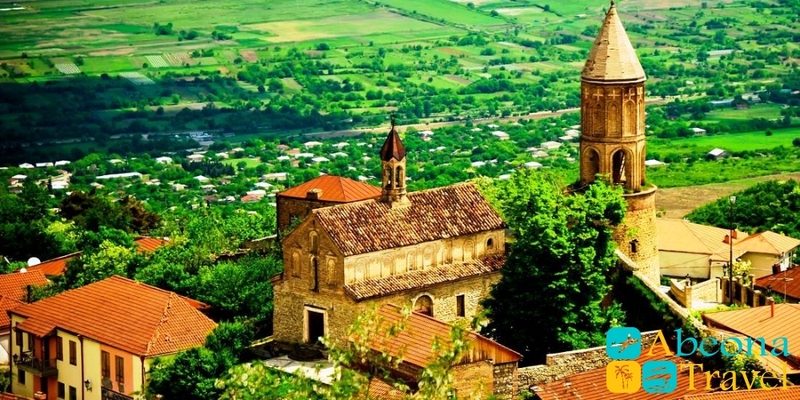 Sighnaghi is unique, its a rising star of Georgia. 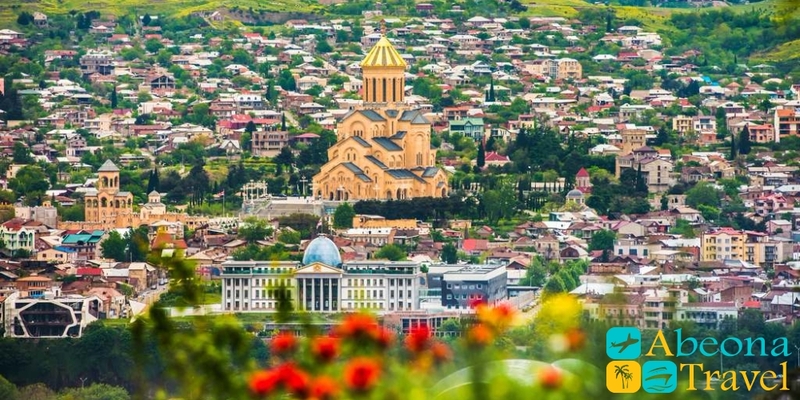 Niko Pirosmani an artist gifted a million Scarlet roses to his sweetheart namely in Sighnaghi, which were caroled there after by Alla Pugacheva. 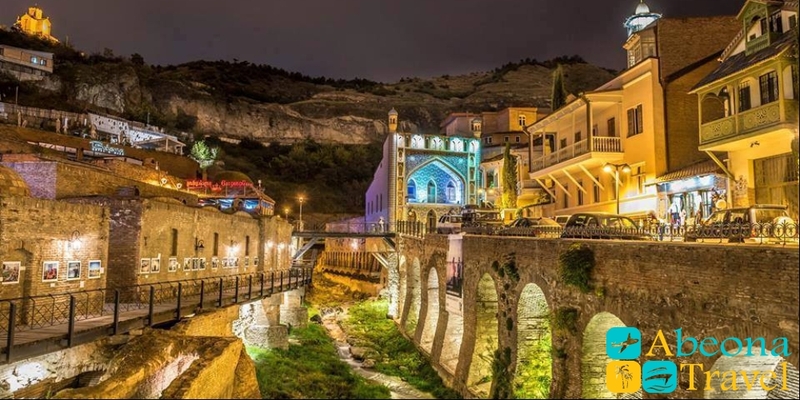 There is a day-and-night registry office where citizens of any country may register a relationship for 24hr a day.Next point is the most wonderful sight of Sighnaghi a Saint Nino monastery which is located in Bodbe. The relics of the most revered saint in Georgia St. Nino is buried here. St. Nino who lived under the blackberry brush in Mtskheta Samtavro monastery, who delivered Christianity, put the first cross-made from grapevine, bounded with her hair, up on the Djvari mountain. St. Nino’s will was to bury her in Bodbe, however king Mirian wished to bury her in Mtskheta, where she baptized him and began baptism of Georgia. Though according to legend two hundreds of people couldn’t move relics of St. Nino, thereby king Mirian had to reconciled with the will of deceased. King Mirian based monastery in Bodbe named by St. Nino in a day of her burial. Another sight of monastery is the one of the most revered myrrh-streaming miraculous Iver Icon of the Mother of God, which is in cathedral of St. George. Sighnaghi fortress is the one of the largest castles of Georgia, surrounded by fortress walls and 28 watchtowers overlooking the Alazani valley. Fortress reigned over Sighnaghi and linked up with the great wall of China. Nino relics are rest in the Orthodox monastery of Bodbe. Temple of Zavulon and Sosana (St. Nino’s parents) is located over the St. Nino spring, which is a small construction from bricks and below it there is a pool where one’s may swim. 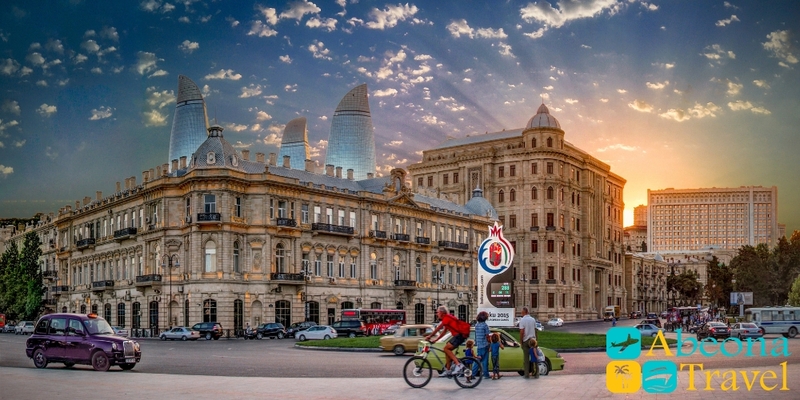 Price on Combined Tour Azerbaijan+Georgia. The prices are given per person.